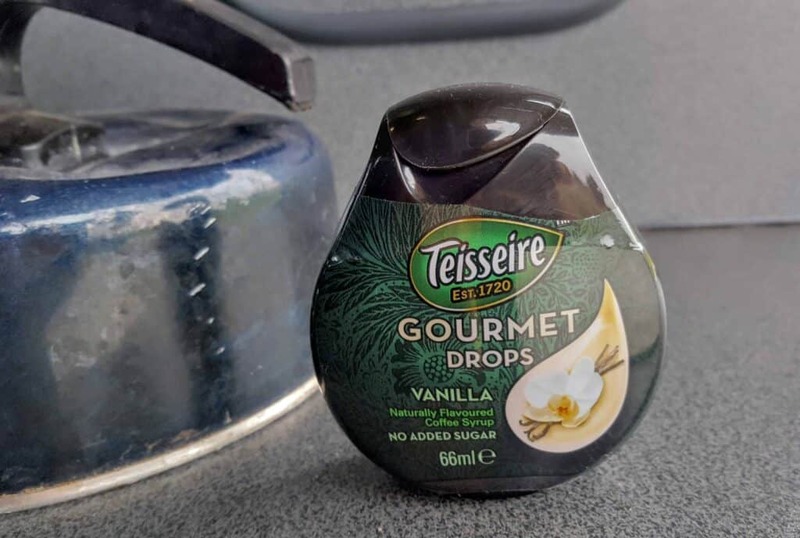 If you’re a Costa or Starbucks lover (I’m the latter), then say hello to my little travelling buddy, Teisseire Gourmet Drops in Vanilla. I don’t strictly carry this in my handbag as I prefer making them in my kitchen where I can (I’m still making up for the years of spending on pre and post-work daily coffees). But if I were to order a coffee on a the go, it would always be a Vanilla Latté. But at weekends, we love to throw some food and clothes in the camper and set off to find some impressive scenery we want to wake up to. (It’s normally the beach). And this is where we’ve used this little bottle the most. Just 3 squeezes in a large strong coffee and you’re done. You can also pick up a Caramel version in Asda for £2 but our morning routine rarely changes so will probably only be sticking to the vanilla. For the times when I’m not away from home, I order a bottle of Sugar Free Monin Vanilla Syrup on Amazon every month and pop in a couple of pumps in our coffees every morning, but it’s not the sort of thing you could take away with you unless you fill up the a squirty bottle from a travel pack (note: we bought ours from Home Bargains for around £1.30). But the Monin is rather thick and sticky in comparison, whereas Teisseire’s is like water and easier to store with a clip cap. What sugar free syrups do you like in your coffee? Any ideas what i can buy instead, im really struggling to find anything i can shove in my bag and keep with me!